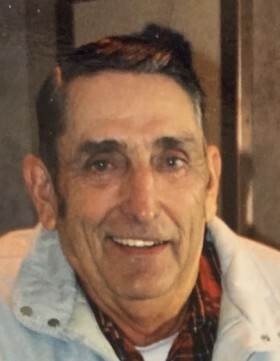 Jimmy Lee “J.L.” Valentine, age 81 of Puryear, TN, passed away Sunday, April 7, 2019 at Saint Thomas West Hospital in Nashville, TN. Jimmy Lee attended Shady Grove Baptist Church. He formerly worked at Holley Carburetor Plant and was a truckdriver for many years hauling Ford trucks for Dealer’s Transport. He truly enjoyed farming and ranching all of his life. Jimmy Lee was born April 21, 1937 in Puryear, TN to the late Pete Valentine and the late Bernice Hart Valentine. He is survived by one daughter, Carol Pinson (Ken Lacy) of Paris, TN; one son, Danny (Genese) Valentine of Puryear, TN; three sisters, Betty Smith of Puryear, TN, Pat Holly of Jackson, TN, and Mildred Moore of Paris, TN; two brothers, Frank Valentine of Paris, TN, and Barney Valentine of Puryear, TN; four grandchildren, Peyden Valentine, Falein Gallimore, Mandy (Mark) Bullion, and Crystal (Adam) Nolen; and six great grandchildren, Keira Gallimore, Pryce Gallimore, Austin Steele, Brendon Steele, Hailee Vaughn, and Carlee Vaughn. Besides his parents, J.L. 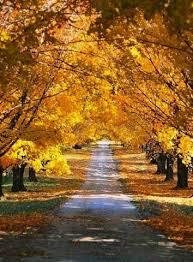 was also preceded in death by one son, Tommy Valentine; and one brother, Kenneth Valentine. Arrangements are being handled by Ridgeway Funeral Home, 201 Dunlap St, Paris, TN where visitation will be Tuesday, April 9, 2019 from 4 – 7 pm and Wednesday, April 10, 2019 from 9 – 11 am. The funeral service will be Wednesday, April 10, 2019 at 11:00 am at LeDon Chapel of Ridgeway Funeral Home with Chad Kennedy officiating. Pallbearers will be Terry Smith, Frank Valentine, Allen Schmidt, Randy Valentine, James Bevel, Frankie Nance, Brendon Steele, Peyden Valentine, and Carlee Vaughn. Named as honorary pallbearers are James Smith, Kevin Smith, and Mike Smith. After a horse-drawn coach ride, burial will follow in Puryear City Cemetery.